VANCOUVER, British Columbia, Dec. 21, 2018 (GLOBE NEWSWIRE) – Siyata Mobile Inc. (“ Siyata ” or the “ Company ”) (TSXV: SIM) is pleased to announce that it has completed a non-brokered private placement of 4,623,800 units (each, a “ Unit ”), at a price of $0.45 per unit, for gross proceeds of $2,080,710.00. Each Unit consists of one common share of the Company, and one common share purchase warrant (a “ Warrant ”). Each Warrant is exercisable to acquire one additional common share of the Company for three years, at a price of $0.60 per share. All securities issued in connection with the private placement are subject to a hold period expiring April 22, 2019. In connection with closing of the private placement, the Company has paid finders’ fees of $102,589.20, and issued 227,976 broker warrants to persons introducing subscribers to the Company. Each broker warrant is exercisable to acquire one additional common share of the Company at a price of $0.60 per share for a period of three years. Marc Seelenfreund, CEO and director of Siyata states, “We are very pleased to add to our treasury and increase our working capital. Coupled with the recent cash injection from the warrants, and inventory, we are extremely well capitalized to execute on the North American roll out in 2019." The proceeds of the financing will be used principally for general working capital purposes. MONTRÉAL, Dec. 28, 2018 (GLOBE NEWSWIRE) – Siyata Mobile Inc. (the “Company” or “Siyata”) (TSX-V:SIM / OTCQX:SYATF) is pleased to provide an update on the Company’s progress of 2018 initiatives and provide insight for 2019. The market demand for 3G in-vehicle communications continued to drive sales through 2018, with sizeable purchase orders coming from various industries while transitioning to the Company’s 4G product portfolio which started gaining traction in our existing markets. Siyata started the year strong with the TSX Venture recognizing Siyata for the Company’s tremendous growth over 2017 and active trading in the market. Strong trading volume continued with over 45,142,795 shares traded to date in 2018. Multiple large-scale purchase orders were received by Siyata this year, representing the market demand for Push-to-Talk Over Cellular communication systems. Siyata’s UV350, CP250 and Rugged Smartphone devices were ordered from a variety of industries including, a First Responder network; the hospitality industry; a public transportation company; a multinational silicon chipset company; an airport logistics company; and a global two-way radio vendor and others. After trialing and testing Siyata’s Uniden UV350, Siyata launched the world’s first and only multi-purpose 4G/LTE commercial vehicle smartphone with a Tier 1 Canadian operator. The dedicated 4G/LTE in-vehicle smartphone is designed for safer, smarter and more advanced instant communication in commercial fleets and vehicles. Customer trials have commenced, and the Company expects its first order shortly. According to Statistics Canada, there were a total of 1.16 million vehicles which fall into the commercial vehicle category, representing a total addressable market in Canada of ~$1 billion. Siyata announced a partnership with a global land mobile radio vendor in Israel, where they will offer the UV350 to their enterprise customers bundled with their powerful WAVE PTT platform. As a result, the Companies have already won prestigious tenders in Israel and continue to win business. Siyata recently completed a supply agreement with a leading Tier 1 cellular operator in the United States. This agreement is a prerequisite to launching the Uniden® UV350 with this operator in the U.S. and covers all the terms and conditions related to the distribution, pricing, logistics, warranty, legal terms and more. Siyata entered into sales partnerships with key partners including Ingram Micro in the US, SETMA in France, Logic Wireless in New Zealand, Aina and Alcan in Canada and others. These partnerships will be key for 2019 sales and will assist Siyata in ramping up its sales across multiple markets. Siyata continues towards launching its Uniden® UV350 smartphone with two U.S Tier 1 operators who have distribution and sales channels many times larger than the existing sales channels of the Company. With around 9.7 million commercial vehicles and over 3.5 million first responder vehicles that have yet transitioned to cellular based technology, the Company sees the U.S market as its largest opportunity with a total addressable market well over $11 billion. These tier 1 cellular operators have a keen interest in launching the UV350 as it allows for new SIM card activations and increased ARPU from existing customers while targeting new customers with a unique, dedicated, multi-purpose in-vehicle smartphone. Siyata’s seven years’ experience of perfecting in-vehicle cellular based technology, industry know-how, vehicle installations, software integration with various PTT solutions and carrier integration have well positioned the Company to be launching with these U.S. operators. The Company believes the final network approval will take place in early 2019. With the recently completed financing, the Company is well financed for this U.S rollout in 2019 and expects strong sales and margin growth in 2019. The Company additionally announces it has granted 2,210,00 options, expiring December 24, 2023 and vesting quarterly over three years, exercisable to acquire one share in the capital of the Company at $0.50 per share to certain directors, officers, employees and consultants of the Company. A total of 50% of the Director Options will vest immediately, with the remainder to vest on a quarterly basis over a 15 month period in five (5) equal tranches with the first tranche vesting on March 24, 2019. MONTREAL, Jan. 07, 2019 (GLOBE NEWSWIRE) – Siyata Mobile Inc. (the “Company” or “Siyata”) (TSX-V:SIM / OTCQX:SYATF) is pleased to announce it has delivered on its first purchase order through a Tier 1 cellular operator to a Canadian transportation company for 180 Uniden® UV350 in-vehicle smartphones. According to Statistics Canada, in 2017 there were ~1.2 million commercial vehicles in Canada. The UV350 is the world’s first and only dedicated 4G in-vehicle smartphone with carrier grade Push-to-Talk over Cellular (“PoC”) integration while being compatible on Band 14. As an all-in-one, purpose-built in-vehicle smartphone designed to upgrade single purpose hardware, the UV350 creates in-vehicle efficiencies never seen before in the commercial fleet and vehicle market. MONTREAL, Jan. 14, 2019 (GLOBE NEWSWIRE) – Siyata Mobile Inc. (the “Company” or “Siyata”) (TSX-V:SIM / OTCQX:SYATF) is pleased to provide an update on the Company’s advancement with developing a 5G dedicated “in-vehicle” smartphone for commercial fleets and vehicles. The Company’s intention for this device is to compliment the 4G/LTE UV350, allowing for a strong variety of cutting-edge product offerings. The 5G device will allow for various form factors that can be incorporated for the specific needs of the Company’s diversified customer base. With 5G networks expecting to launch nationwide in North America over the coming year, the Company aims to provide an in-vehicle solution to meet the demand when it arises. In addition to the North American launch of the 4G/LTE Uniden® UV350, the next generation 5G device builds a powerful pipeline of product offering for commercial fleets, vehicles and first responders for the next ten years. Existing North American Tier 1 carrier relationships will benefit the 5G launch as the technology becomes relevant in the commercial vehicle market. . The commercial vehicle market is among the various industries expected to benefit from the improved connectivity of 5G networks. As the majority of these vehicles continue to transition to cellular-based technology, the Company will continue to address this market with the most updated technology available including various form factors than can be developed for the specific needs of its diversified customer base. MONTRÉAL, Jan. 23, 2019 (GLOBE NEWSWIRE) – Siyata Mobile Inc. (the “Company” or “Siyata”) (TSX-V:SIM / OTCQX:SYATF) is pleased to announce Mr. Raymond J. Roman has been appointed to the Board of Advisors. Mr. Roman’s operational and managerial experience has spanned over 30 years, with various senior executive positions expanding his proficiency in wireless telecommunications and technology in the United States. Currently, Mr. Roman is Global Head of Business Development, Marketing and Sales at Mu Sigma, the largest pure play decision sciences company in the world. From 2014 to 2018, Mr. Roman served as the President of Brightstar U.S. & Canada, the largest mobile distributor in the world. With over 50,000 points of sale and delivering 1 out of every 23 mobile devices sold worldwide, Mr. Roman’s role was to manage and grow the $4B+ billion business that provides innovative wireless services to manufacturers and retailers. Previously, Mr. Roman was Senior Vice President of Worldwide Sales and Operations for mobile devices at Motorola, Inc., was COO and an Executive VP of Leap Wireless International, Inc. and at Dell Inc. served as VP of Sales, Operations and Service for the mobility division. À combien sont ces warrants qui expirent en mars 2019? MONTREAL, Feb. 12, 2019 (GLOBE NEWSWIRE) – Siyata Mobile Inc. (the “Company” or “Siyata”) (TSX-V:SIM / OTCQX:SYATF) is pleased to announce that U.S Tier 1 Carrier network approval is nearing completion and has initiated trials with multiple end-use large-scale potential customers in various industry verticals. As a result, the Company expects initial purchase orders from these end use customers through the U.S Tier 1 carrier in Q1. MONTREAL, Feb. 19, 2019 (GLOBE NEWSWIRE) – Siyata Mobile Inc. (the “Company” or “Siyata”) (TSX-V:SIM / OTCQX:SYATF) is pleased to announce it is supplying various departments of the RCMP (Royal Canadian Mounted Police) in the Atlantic region of Canada, with its UCP100 in-vehicle cellular device and accessories. The UCP100 is the Company’s first 3G in-vehicle cellular device made available in 2013 through cellular carriers and distributors in Israel and has since expanded into additional markets including Europe, Australia, New Zealand and Canada amongst others. Over 200,000 UCP100 phones have been installed in vehicles across many industry verticals and it continues to be the “device-of-choice” for distributors and carriers in its existing markets when responding to a tender or RFP requiring in-vehicle cellular voice coverage. The Company is rolling out its innovative 4G/LTE Uniden® UV350 in-vehicle smartphone in Canada through BELL Mobility and two Tier 1 cellular carriers in the United States. It has initiated trials with multiple end-use, large-scale customers in various industry verticals and has agreements with Ingram Micro and CNM Wireless in preparation for distribution and logistics requirements upon launch. The UV350, with its carrier-grade integration of Push-to-Talk over Cellular (PoC) software, is the only dedicated in-vehicle smartphone available in the world and is advancing carrier launch of the UV350 in additional geographical markets outside of North America. J’ai exercé les miens et je conserve les actions pour l’instant. Cela dit, je risque de vendre si ça passe au dessus de 0,60$. 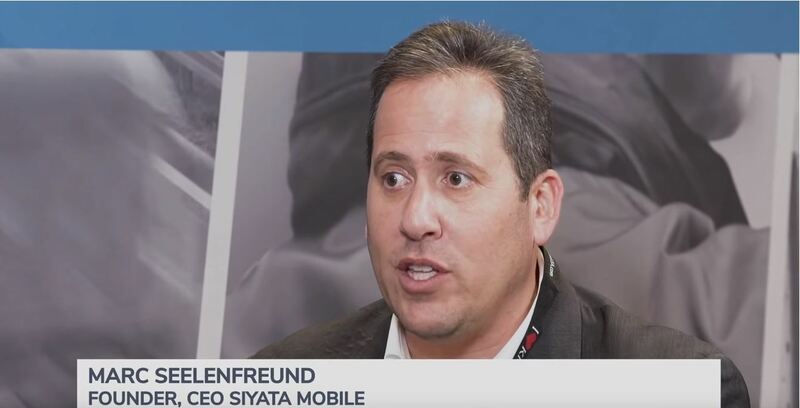 Capital Ideas publisher Mark Bunting speaks with Siyata Mobile Inc. (TSXV:SIM) CEO Marc Seelenfreund. Robert McWhirter est aussi un grand supporteur de Xebec depuis quelques mois.